This example demonstrates plotting data on an eccentric ellipse. The data plotted is a topography map of the asteroid Vesta. 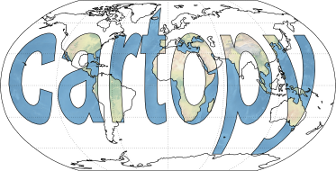 The map is actually an image, which is defined on an equirectangluar projection relative to an ellipse with a semi-major axis of 285 km and a semi-minor axis of 229 km. The image is reprojected on-the-fly onto a geostationary projection with matching eccentricity. 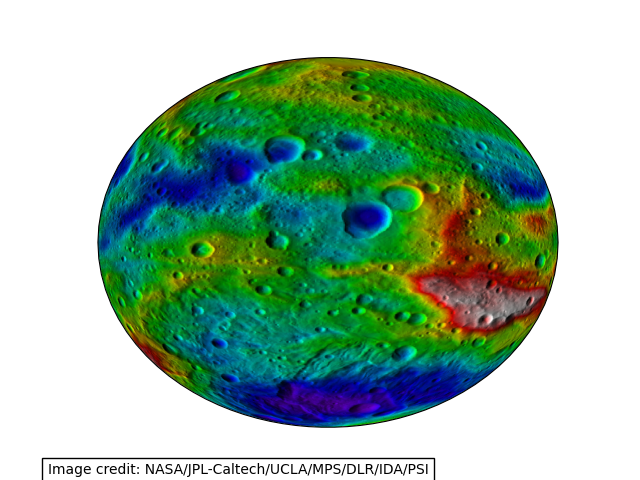 Return an image of Vesta's topography. The pixels of the image in a numpy array. The rectangular coordinate system of the image. # significantly altering the integrity of the result. # globe not to use the WGS84 ellipse, which is its default behaviour.